The Whyte 901 is all about the geometry. It will inspire confidence in all situations, giving you an amazing ride experience. 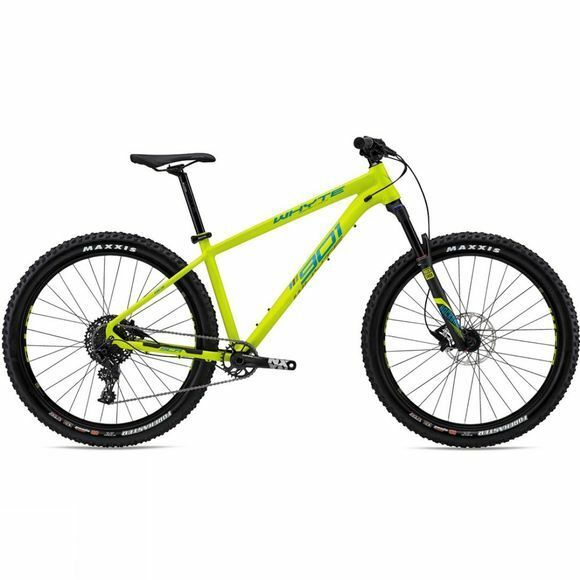 Whyte have even been so bold as to claim that it will give you a more confident ride than any other hardtail on the market! 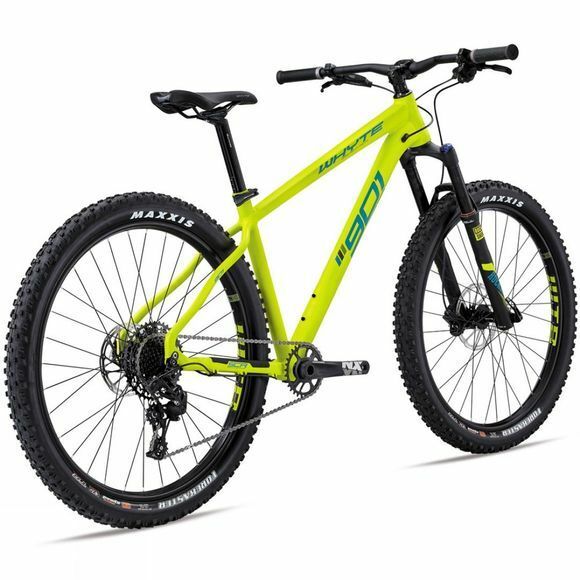 Its light and stiff aluminium frame rides on two high air volume 2.6" Maxxis Forekaster tyres and WTB STI i29 rims to create a seriously fun, yet comfortable and controlled experience. A high spec RockShox Recon Gold RL fork with 130mm of travel is plenty to tame your favourite trails. And, with SRAM NX 11 speed gearing the 901 can tackle any undulations the trail presents. This impressive hardtail is finished off perfectly with Whyte’s clever UK design features that help tame our less than desirable climate. Including internally routed cabling and their Get A Grip seatpost clamp system that is not only weatherproof, with seals around the post and the frame to help prevent any mud or water damage, but also features an ergonomic lever that makes adjusting seat post height super easy even with the coldest of hands!